Brockloch Treehouse | Cosy, romantic hideaway. It is off grid with a small kitchen area with a 2 ring gas hob and a small fridge. There is a normal flushing toilet within the treehouse and a small bath with skylight above for star gazing. Heat is provided by a Hobbit log burning stove with all wood included in the price. We encourage our visitors to truly relax and "switch off" so there is no T.V or WiFi just the rolling countryside and abundant wildlife. Brockloch Treehouse made the Guardian's Top 20 new hotel, hostel and campsites in mainland Europe and the UK for 2015. 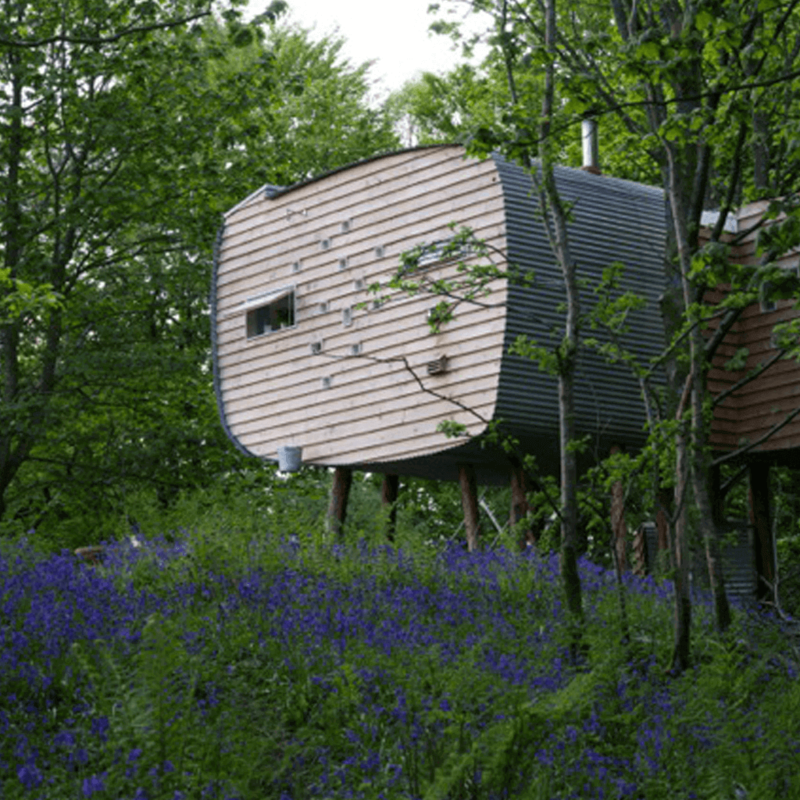 Read what the Guardian had to say about Brockloch Treehouse.